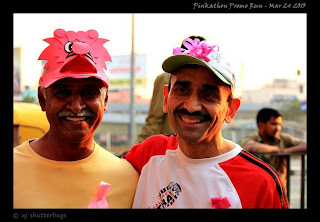 Before starting formal training for the 1st event of 2013-14 running season I participated in a couple of fun runs in March : the last RFL FOTS run in Fraser town/Ulsoor lake area on 17th March and the Pinkathon promotional event on 24rth March. The nostalgia of having run the 1st RFL run way back in March 2005 attracted me to the last RFL run. The cupcakes to celebrate the 8th anniversary of RFL was an added attraction. 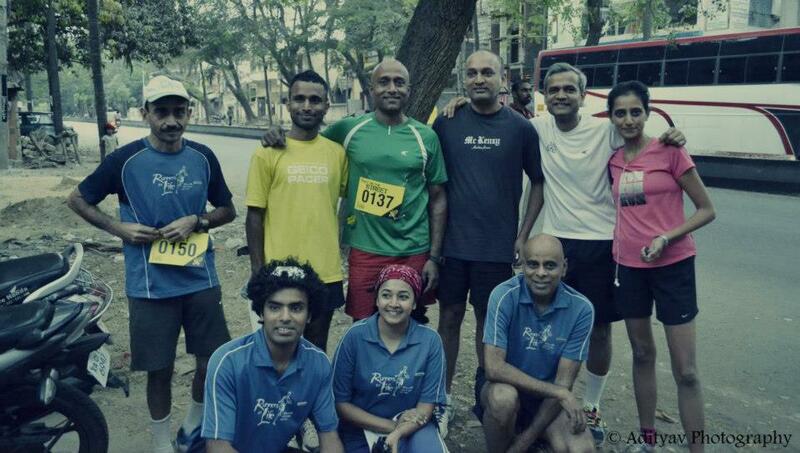 It was nice to run around Ulsoor lake - a loop that I have run 11 times in 2006 while training for a marathon. Each loop was 8Km - I did a bit more than a loop to complete a 10Km run. 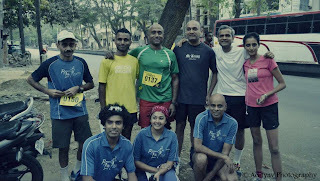 Several of the old timers were there (see photo below) - of course many more were missing! Running in Banglore and India has come a long way in the last 8 years with the running community and the number of running events growing every year. 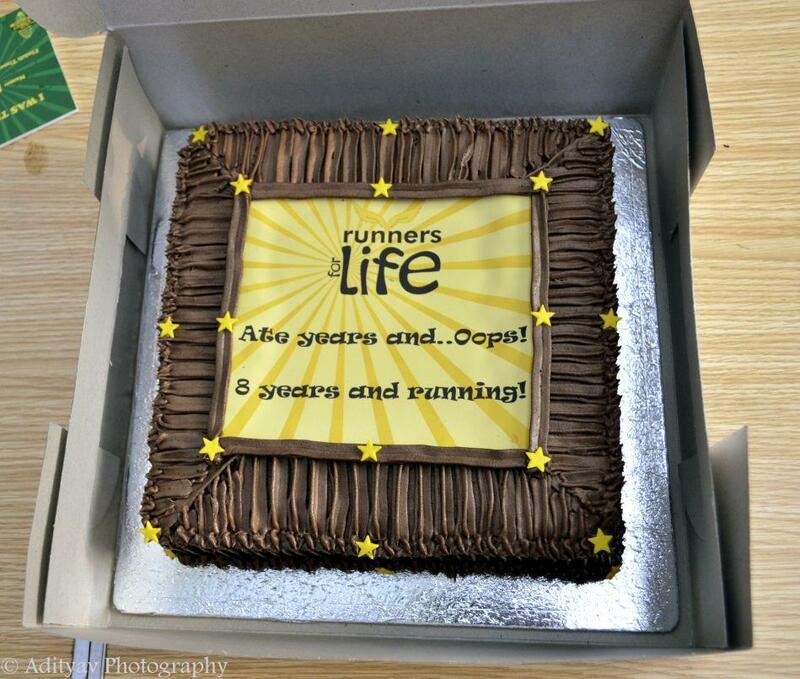 Discontinuing the fortnightly run had a mixed reaction from the Bangalore running community. The fortnightly RFL runs has helped many runners in Bangalore train for their first long distance event and also helped them get hooked onto running. 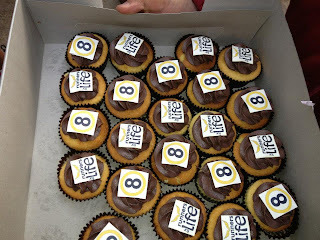 Personally these runs helped me the most during my 12 in 12 marathons in 2008-09 - I did 6 of those 12 marathons in RFL fortnightly runs with wonderful support from RFL employees and volunteers for over 4 and a half hours in each of these runs! There were a number of promotional runs for the Milind Soman promoted Pinkathon to be held in Bangalore on 7th April. 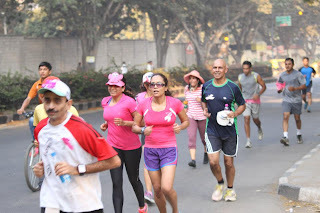 I participated in one such run on 24rth March - the run from Forum mall Koramangla to Forum value mall in Whitefield via the Inner Ring road and old airport road. 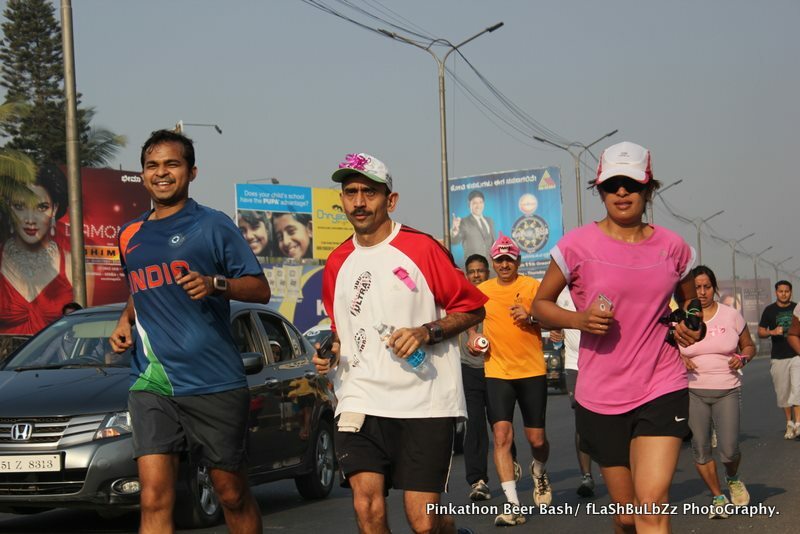 I joined the run on Inner Ring road and Ran till the Kundanahalli junction doing about 15Km before returning home by bus. 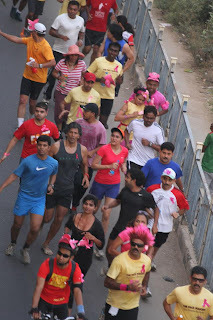 It was a slow fun run stopping every Km or so for water as well as to ensure all the runners caught up. I decided to skip the real fun part of breakfast and beer at Forum Value mall post the run.